To prevent system failure or data loss, backup is important and necessary. 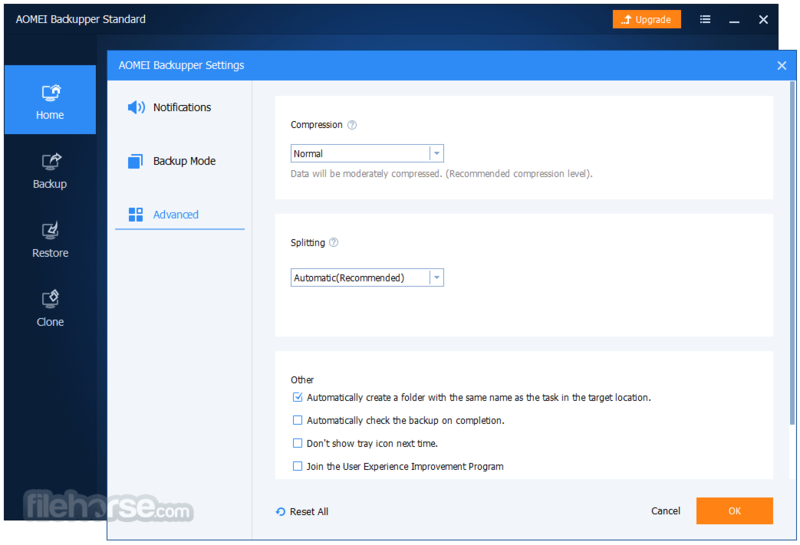 AOMEI free backup software provides basic and advanced features to ensure the safety of your system and data. 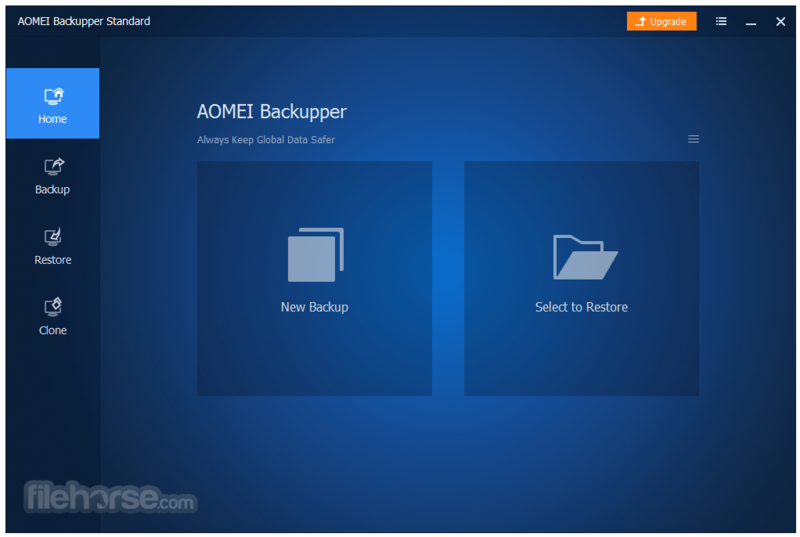 AOMEI Backupper Standard is a free and easy-to-use backup software for Windows 8.1, Windows 8, Windows 7, Windows Vista, and Windows XP (all editions, both 32/64bit). It supports system/hard disk/partition/files/folders backup, restore and clone as well as provides schedule, incremental, differential backups, backing up to NAS and network, dynamic disk volumes backup, GPT disk backup, backing up & restoring system drive based on UEFI boot, creating Windows PE & Linux bootable CD, manually adding additional drivers when creating Windows PE Bootable CD, partition alignment to optimize SSD during restoring or cloning operation, sending email notifications, Backing Up or Restoring Files from a network to another, editing task name and the directory of backup images, backup logs management, exporting or importing all backup tasks, etc. The unique function of this software is VSS, a technology from Microsoft that enables system or data backup process won't be interrupted by running applications.PXE boot tool: start up multiple client machines within LAN through the network booting by using AOMEI Windows PE and Linux micro-system or your own personalized bootable image file on a master machine for system maintenance. So it is very efficient because backup can still be available when you're working. Besides, this version is free for home users and commercial users. 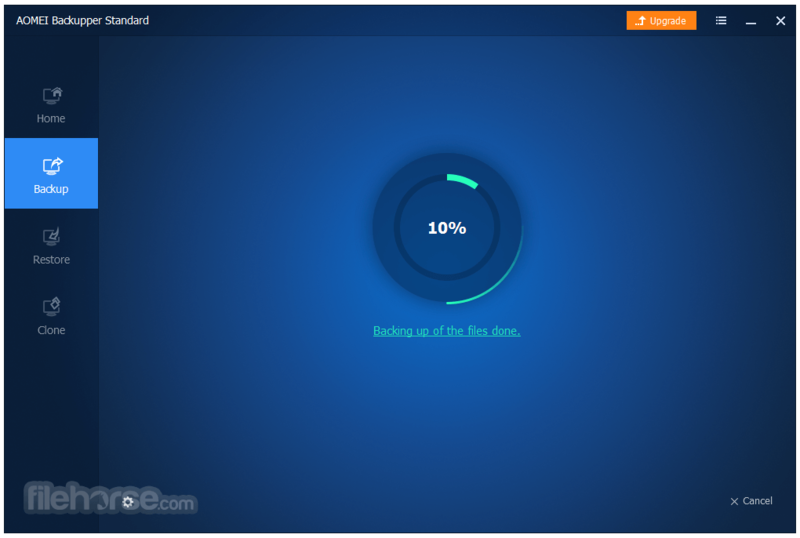 One-click system drive backup of all contents, including Windows operating system, installed applications and custom settings without interrupting your work. 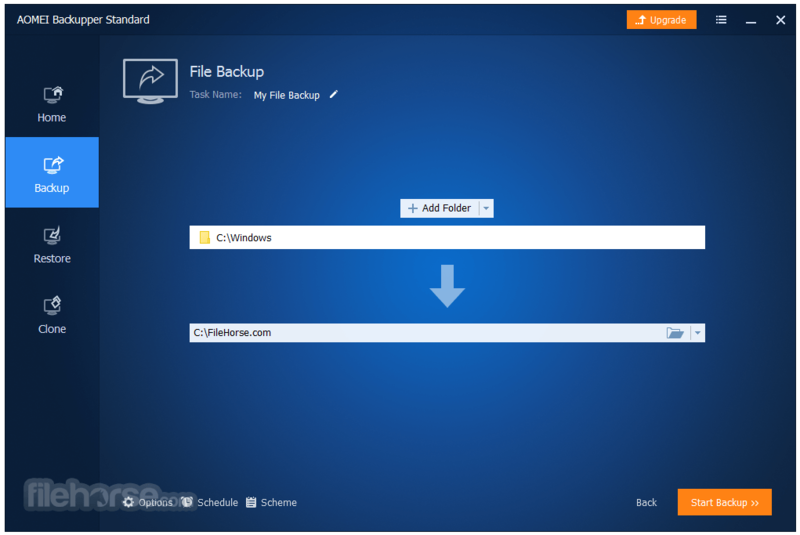 Securely back up individual files and folders, such as email, photos, videos, documents, games and programs. Also support backing up files from one network/NAS to another. 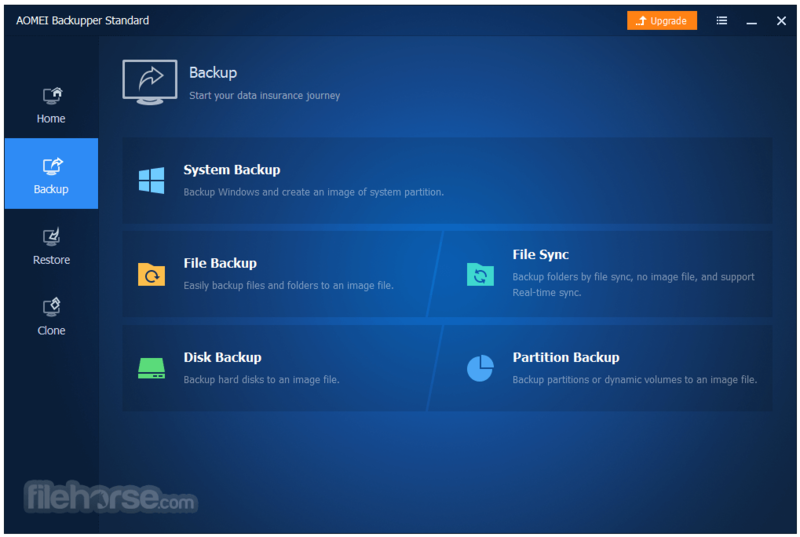 Backup your hard disk drives, including basic disk, dynamic disk, MBR disk, GPT disk, external disk, USB flash drive and other storage devices that can be recognized by Windows. If you just want to backup one or more specified partitions or dynamic volumes, not entire disk. This free backup software allows you to back up partitions or dynamic volumes to a compressed image file. Synchronize files and folders automatically with a schedule to local disks, external hard drives, removable USB flash drives, NAS or network shared folders.